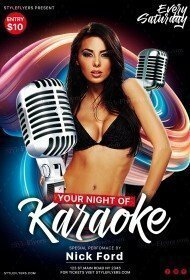 Do you like karaoke? 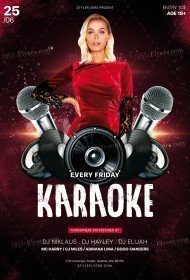 Of course, you like, everybody likes. 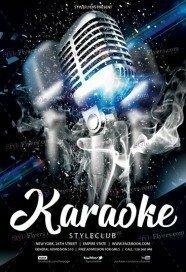 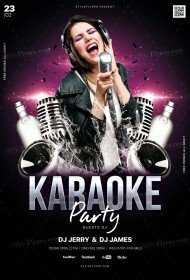 Karaoke is a great opportunity to get fun and blow off some steam after hard and boring working days. 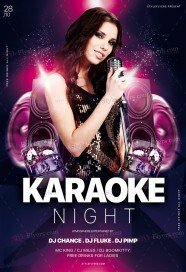 Karaoke nights are very popular because they let people an opportunity to relax and get fun at the same time. 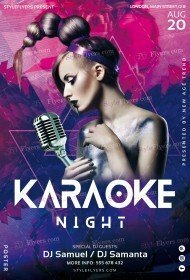 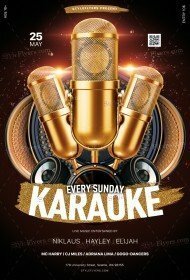 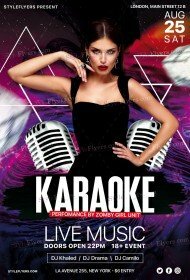 If you want to organize a karaoke evening at your club, bar, pub, café or etc, you can look at our premium karaoke flyers templates at our new karaoke flyer online listing and then buy karaoke flyer PSD templates. 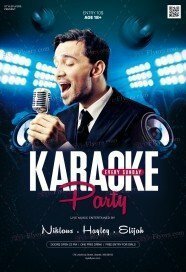 Here we combine all printable samples that relate to the karaoke theme. 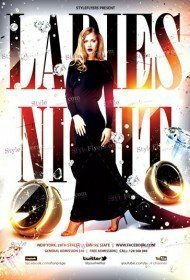 You can find a great number of luxury and eye-catching templates here. Our flyers can help you to advertise you event and your place and make it the most popular in your city. Just try to use any of our premium flyers for your party promotion and you will see how many new visitors it will attract. The result will shock you. 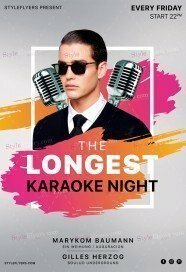 You will get a capacity crowd and as a result, you will get a large profit. 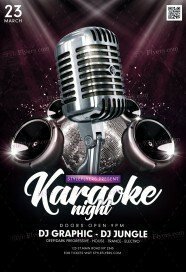 So don’t waste an opportunity to increase your capital! 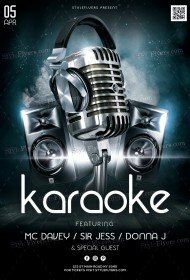 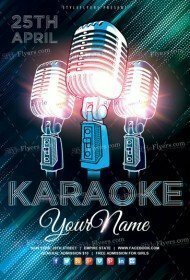 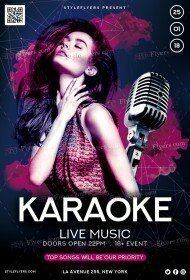 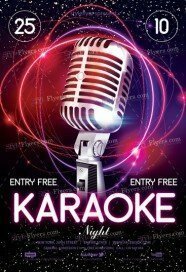 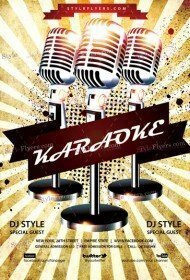 Pick buy karaoke flyer template at a reasonable price – just $2.49 per flyer. 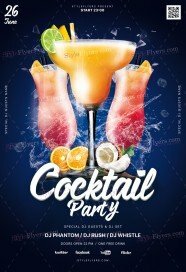 It’s a ridiculous prices for high quality Photoshop files! 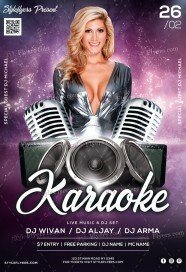 We offer for sale not only flyer but Facebook covers with outstanding design.